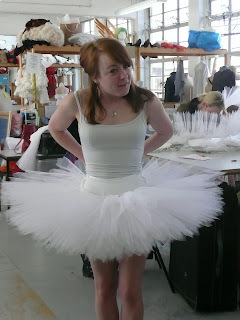 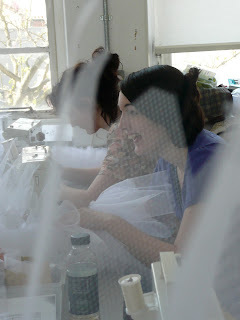 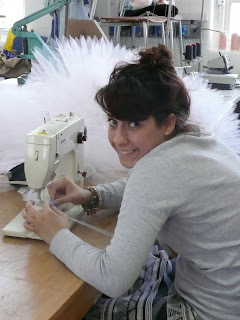 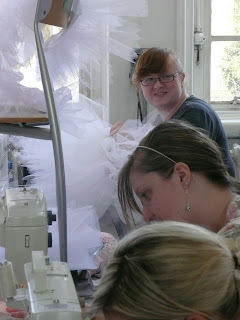 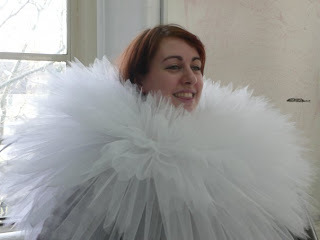 In second yr, interpretation students learn to make a tutu base. 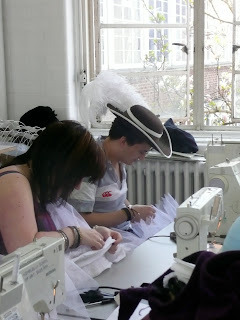 Students learn to make the Classical pancake version. 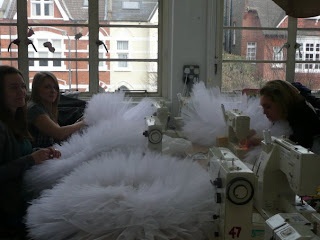 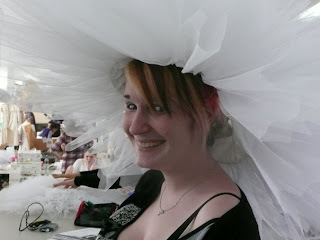 A tutu is a skirt worn as a costume in a ballet performance, with an attached bodice. It may be single layer, hangind down, or multiple layers of net jutting out. 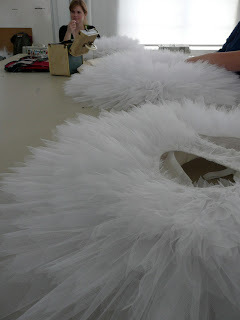 There are several types Romantic,Classical(bell), Classical (pancake), Balanchine/Karinska (powder puff) and Platter Tutu.